Belize is a small country in central America and this is where the Bollo comes from. Bollo, however, is a Spanish name and all the more baffling considering the official language of Belize is English! 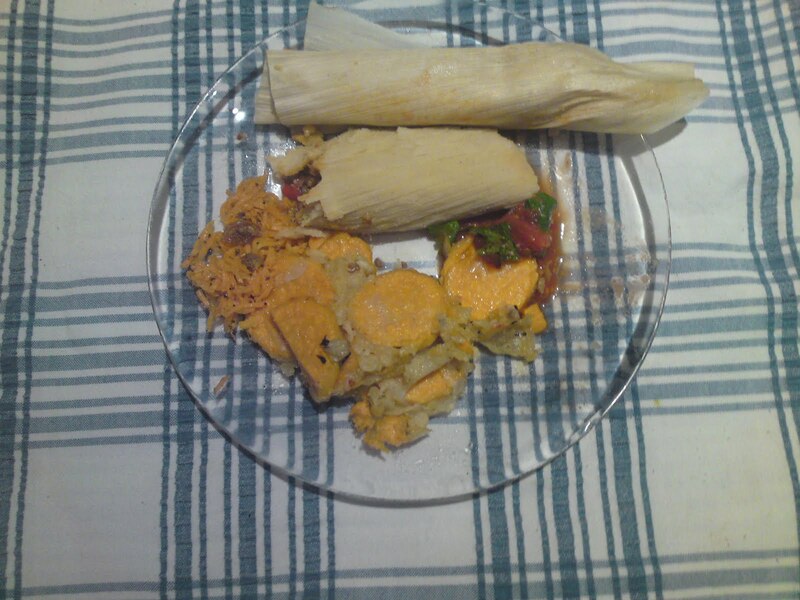 However Tamales are made through out Latin America and are almost staples of daily life. They consist of a filling surrounded by dough which is then wrapped in corn husks and steamed. 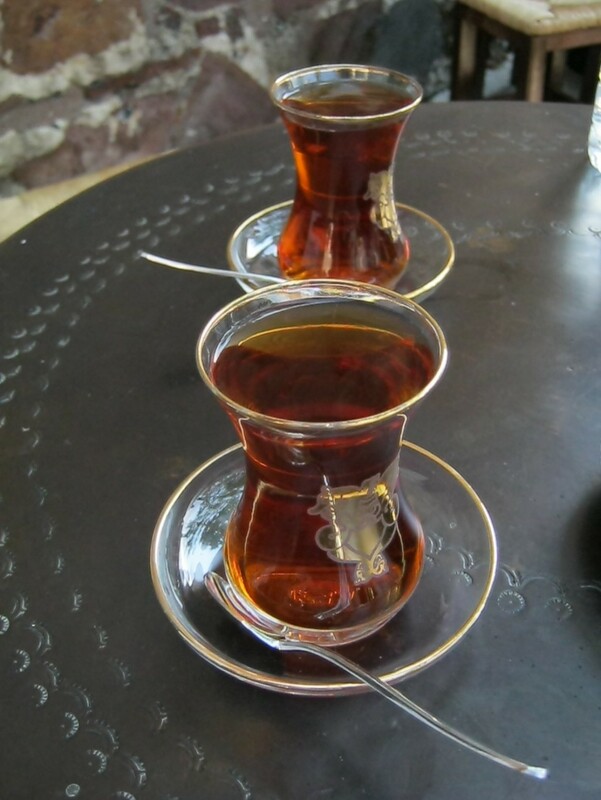 In the olden days, and I mean ancient times, they were used as form of transportable food. Each parcel would contain meat, vegetables and carbohydrates, all in all the ideal meal. 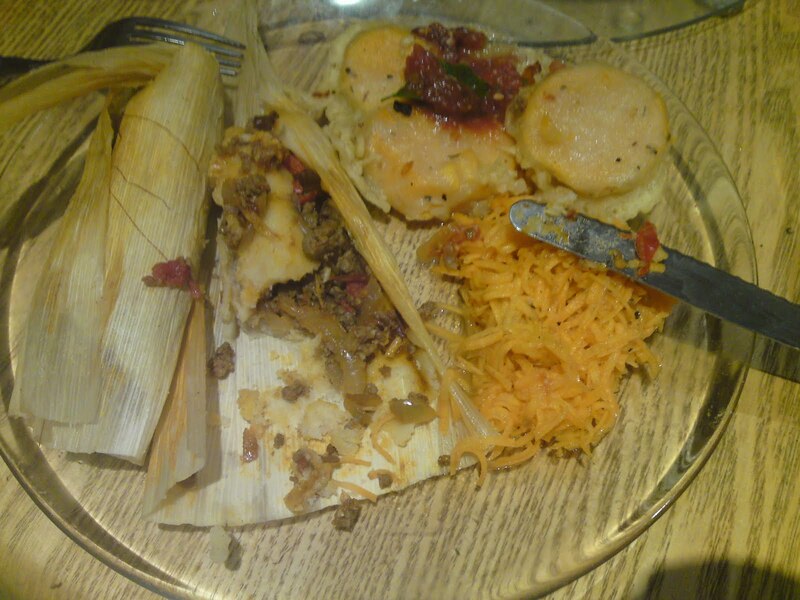 The origin of the Tamales goes back to the ancient civilisation of the Inca. The way that the corn husks are used is similar in to the way that banana leaves are used in tropics. If you have neither banana leaves or corn husks to hand you could always use baking parchment. For the filling I made up a spicy mince using approximately 250g of minced meat: cumin, garlic, onion, coriander and chipotle chilli, which is a smoked jalapino. The smokiness really makes the difference as the smokiness permeates the mince. I also added some peppers to the mince. We served our tamales with a simple salsa of tomato, onion, fresh coriander and a little vinegar. Our accompaniments were sweet potato fritters and a grated carrot salad.